YAY! I find the posts I write from my heart – rather than my head – are the most popular on the blog. No doubt you have found the same for you. I look forward to reading what’s in your heart and life, Patti! Thanks for your encouragement. It’s especially valued coming from you because you’ve got such a good vibe going over at your place. 😉 Fact is, my guidance is so strong on this that I have practically no choice, ya know? But it feels soooo right. Best to you in 2012 as well. Thanks for being a great blogging bud. I love this post. Love that you are letting go of the heavy “how to’s”, “shoulds” and are following your enthusiasm, inspiration and intuition and are writing from your heart. Trust that your words and posts will attract and resonate with the right people. I too an feeling the desire to just let go and write freely about what feels timely, inspiring and relevant to me. Lesson in trusting myself and my intuition. Thanks! I appreciate your encouragement and love your energy! And look, it’s already paying off because now I’ve discovered YOUR blog as a result! Feed Your Chakras?! Love it! I’m going to subscribe and look forward to reading the posts you write as you also “let go”. Yaaaaay! I’ve been wondering about all those “how tos” and “shoulds” since I’m pretty sure those who came up with them aren’t nearly as bright and interesting as you are. The multi-dimensionality of the way you live has been of interest – but I haven’t been able to articulate it in the great way you just have. I’m eager to read what happens next! Anyway, I thank you for your coaching sessions (whether or not you knew that’s what they were) as I whined about what I now recognize as growing pains. Blogs are a very new art form – I’m really looking forward to your variations on the theme! Go for it! I want to see what happens next….. They are, aren’t they? Thanks for that reminder! So much more fun with that thought in mind. I actually look at blogging in the opposite way. I don’t care about “the rules.” Other than the fact that someone else created an easy to use structure (WordPress, etc) for me to jump right into, which I am thankful for, I wish I was even LESS like other bloggers. I want to fully express me, for the purpose of others, and I trust in the universe to bring us together. But yes, I know you’re right. Even since writing this post I’ve gotten tremendous support. When I first considered blogging it was more an online journal, then I joined a club, and allowed it to become more of an article depository. I think what I’m coming to is a cross between the two, with the former being primary. And people like you, who “fully express me” like you said, are a big part of my inspiration. Thank you for that! Bravo, Patt! I was so excited to read this post and will be looking forward to what comes next. You are always such an inspiration to me. Happy New Year! Happy New Year to you, too! If I’m lucky, our paths will continue to cross. Ya, well, if I do it right, our paths will cross anyway, not just when you’re crossing my palm with $$! 😀 You add something to my life every time and besides the excellent copyrighting info you share that I’ve benefitted from, it’s been a pleasure getting to know you personally. I am glad to read that you are more in tune with your inner being on how to run your blog. I know it can be hard to find the right approach with so much advice out there on how things should be and should not be. I personally try to align my heart and my head. I might want to do something in my heart and then I would use my head to find the best way to get it done. This is what has always worked for me. I need to align my heart and head to make things happen. Hi Irving! So nice to see you again. I guess I know where I can come visit — I just got kind of bogged down, like I said, and wasn’t “getting around”. But I’ve missed you! Thanks for your encouragement. It makes me smile. As I say this I’m reminded that “coeur” (as in encourage) means heart and I am appreciating your heart right now even as it shines through your wisdom that you always share so generously. Thanks so much for coming by, and Happy New Year to you and yours, too! I’m inspired! I can’t wait to read your next post already! I went through this same thing last year. I was fed up with blogging. I found it to be a huge chore that exhausted me. What kept me going was that I reminded myself of why I started a blog in the first place. Once I had my “raison d’etre” in the forefront of my mind it “pulled” me forward throughout the year. I too have found that the posts that are the most read are the ones that I’ve written from my heart. You can never go wrong doing that. If you can’t please yourself you will never please the reader either. First and foremost be true to yourself. This is what I’m doing in 2012, following my bliss. Your joy from doing this is already making your flame burn brighter this year! Oh, thanks, Angela! And thanks for sharing your own story here. It inspires me, as you always seem to have just the perfect balance on your blog, and the way you share and really touch peoples’ lives is something I can only aspire to. It helps to know that even really popular bloggers like you have their ups and downs. And thanks for sharing what worked (as always). Patti, it seems like we have been on the same trajectory for 2012! 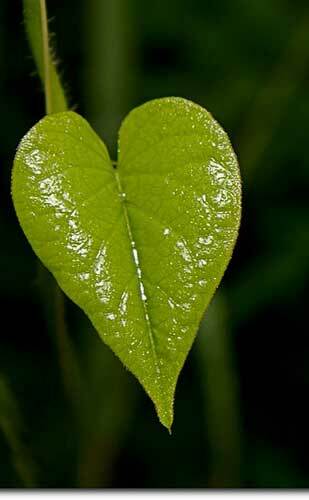 I too am ready for a new leaf (love your photo!) I love blogging, but I was becoming frustrated and stuck by all the directives and expectations. I’m ready to cut loose and let my true self out. What will it mean? I’m not sure yet. Maybe a completely new blog… I’m just ready to tune into my heart! It’s time. Thanks so much for the validation! I look forward to following your heart-centered journey! Oh, Sarah! This just lifts my spirits to know I have someone else to walk with on this journey of discovering and uncovering what we’re all about at this new — and quite powerful, it seems to me — point in time. Very cool!! Thanks for coming by and sharing your bright spirit. Wow Patti! That sounds awesome! I look forward to your new approach, and I also choose to be inspired by you, as that sounds very much in alignment with my approach to life right now as well. Nice to see you! Happy New Year! Funny, I’m hearing a similar thing from many of the commenters; we all seem to be on the same page or at least in similar chapters. 😉 Here’s to our alignment! Thanks for coming by, and especially for sharing your thoughts. So much to *love* about this! I lead a heart-based life, and when doubts surface it is because I live in a mainstream world where in general ‘thinking’ is prized, recognized and rewarded…and loving is kind of pushed to the side. So, doubt or weight is my clue to re-center. In the midst of releasing much to embrace alignment, I stopped creating through my old site and created a new one “Facets of Joy” celebrating each facet that we all have..I am not “just” a “feeler” or a “mom” or any other label…we are each a vibrant ball of energy, label free…we are each *everything* even as we are nothing.